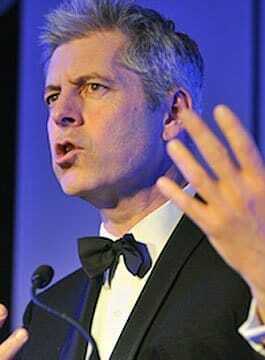 Justin Webb is a member of the team of presenters on Radio 4’s Today programme. Justin is a graduate of the London School of Economics, where he edited the student newspaper. Fresh out of university, he joined the BBC Graduate Scheme in Belfast and worked for BBC Radio Ulster. He worked as a reporter for BBC Radio 4’s Today programme before moving to BBC Television as a reporter in the capacity Foreign Affairs Correspondent. Justin was dispatched around the world to report including Washington, Moscow and Jerusalem. During the Gulf War Justin was based in Saudi Arabia and also reported extensively from Bosnia. As a presenter he has presented BBC One’s Breakfast News, One O’clock and Six O’clock News where he has interviewed politicians, entertainers, Prime Ministers, sportsmen, and business leaders. In July 1999 he took up an appointment as Europe Correspondent for the BBC and was based in Brussels where he reported on the workings of the EC, the politics surrounding Britain’s decision on whether to join the single currency and the European Union. In 2001 Justin took up the position of US Correspondent and moved to Washington. In 2007 he was made the BBC’s North America Editor, a role newly created in time for the American Presidential election the following year. He also presented regular pieces for CNN USA edition. In August 2009, Justin returned to the UK and joined Radio 4’s Today programme’s presenting team alongside John Humphrys, Jim Naughtie, Mishal Husain and Sarah Montague.